What: NAHC and the Forum of State Associations have set the “March on the Capitol” for December 11, 2013, to coincide with the expected legislative action on the SGR or "Doc Fix." When: Wednesday, December 11, 2013, beginning at 8:00 a.m. until 4:00 p.m.
Where: The staging area for the “March on the Capitol” will be at the NAHC Frederick Douglass Museum located at 320 A Street, N.E., in Washington, DC (three blocks east of the Capitol). Why Now? : NAHC seeks to secure improvements in the recently issued Medicare rebased rates and to ensure that the Medicare home health benefit is exempted from any further cuts. Two major pieces of legislation will come before the Congress in what is expected to be the last days in which they will be in session in 2013. 1) The Members of a Special House-Senate Budget Committee have until Friday, December 13 to report their recommended budget for 2014. NAHC seeks to make sure that neither across the board cuts nor copayments is included. 3) Late Friday, November 22, CMS released their final “rebasing” rule updating the Medicare prospective payment system rate. NAHC’s position is that home care has already taken disproportionate cuts and should be exempted from any payment cuts, copayments or deductibles. NAHC and its allies are seeking relief directly from the House and Senate from the onerous and unwarranted rate rebasing regulation which may force more than half of all Medicare providers out of business by the end of 2017. The Agenda: The March will begin with a briefing from NAHC staff and Senator Debbie Stabenow (D-MI) who has been NAHC’s top Democratic advocate. The breakfast is also a fundraiser with the suggested donation of $500 per person or $1,000 per PAC, but anyone who contributes any amount will be welcome to join the event that will be held at NAHC’s Frederick Douglass Museum located at 320 A Street, N.E., in Washington, DC. 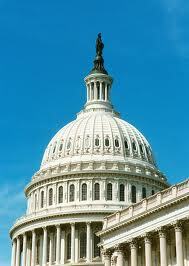 Following the briefing, participants will fan out on Capitol Hill making NAHC’s case to key members of Congress. In the evening of Wednesday, December 11 from 6:30 p.m. to 8:00 p.m. those who can do so are welcome to join in the celebration of the birthday party for Senator Susan Collins (R-ME) who has been without peer as an advocate for home care and hospice. This too, is a fundraiser and a “thank you” party but the same rules apply as in the Stabenow event relating to contributions. The Collins event will be held at 500 North Capitol Street, NW, 9th Floor, Washington, DC. Please RSVP: Send an email to Mike Wittke of the NAHC staff mw@nahc.org. There is no registration fee for this event; however, attendees need to register so that NAHC will be prepared with enough food and drinks for attendees. Questions: Send an email to Mike Wittke or call 202-547-7424.